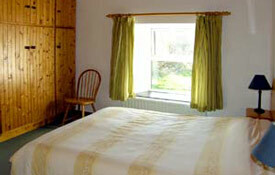 Pet friendly holiday lodges in stunning valley just 3 miles from picturesque West Cork coastline. Each lodge has 2 bedrooms and sleeps up to 6 guests. WiFi available. 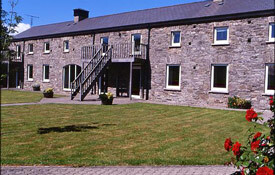 To go back to Ireland pet friendly accommodation click here. Argideen River Lodges are close to the village of Timoleague at the head of Courtmacsherry Bay on the picturesque coastline of West Cork. Dogs are welcome and there are magnificent walks for them, notably on the sweeping sand beaches at Clonakilty and Harbour View. 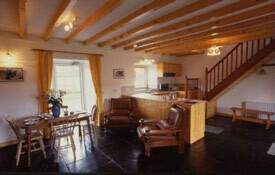 In one of the loveliest valleys in County Cork and just three miles from the sea, the Old Mill building at InchyBridge has been tastefully converted into comfortable self-catering lodges for visitors and their families. Each lodge comprises a large kitchen / living room downstairs with an open fireplace, and upstairs can sleep a total of six in a double bedroom and second bedroom with four full size bunks. There is a shower room and airing cupboard, and each lodge is fully equipped with colour TV, kitchen utensils, bedding, sheets, ironing board, etc. In addition, Lodge one has a conservatory, power shower and dishwasher. Pets are welcome but not allowed in bedrooms or on furniture. Comfort on wet days is assured by double glazing and central heating throughout, and an outside patio allows guests to enjoy sunny evenings. Thirty metres away across the lawn is the purpose built Service Centre, comprising of a rod room, a laundry with washing machine and dryer, and deep freeze for fishermen's catch. 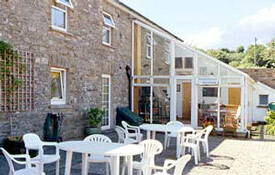 Groceries can be bought next door at the "Creamery" - the Farmers Co-operative. Within a ten mile radius there is horse riding, golf, windsurfing, tennis, and some of the finest beaches in the county. There are magnificent walks along the valley, the haunt of otters and herons; and scenic drives along the spectacular coastline of County Cork. In the evenings entertainment can be found in local bars and cafes, and the region is justly famous for some of the best restaurants in the British Isles, specialising in home-grown produce. Anyone who enjoys fishing has a wide choice; day boats can be hired at the pier in nearby Courtmacsherry to go sea angling. Children can enjoy fishing for mackerel off the rocks; and twenty minutes drive away there is salmon fishing on the Brandon River. Best of all, the lodge visitor has only to walk across the watermeadow to be on the banks of the 'Little Silver Stream' - the Argideen River, rated one of the best sea trout rivers in the south-west. Fishing rights on Argideen are included in the rental. Access: Argideen River Lodges are located two miles outside the village of Timoleague, and are signposted from the main road to Brandon. From the UK there are sea crossings by the Swansea - Cork ferry or via Fishguard - Rosslare. 2 bedrooms per lodge sleeping 4 - 6 guests. Electricity charged at cost. Bed linen included. Towels to be provided by guests. Included in the rental of each Lodge is one full Guest Rod on the Argideen for both day and night fishing.